Semiconductor devices face many hazards before and after manufacturing that can cause them to fail prematurely. Semiconductor devices contain hundreds of millions of transistors operating at extreme temperatures and in hostile environments, so it should come as no surprise that many of these devices fail to operate as expected or have a finite lifetime. Some devices never make it out of the lab and many others die in the fab. It is hoped that most devices released into products will survive until they become obsolete, but many things can happen that cause them not to make it that far. Even devices that are operating correctly can be compromised to the point where they no longer provide correct results. There is a lengthy list of common hazards and what causes them. They typically fall into a handful of categories, which are detailed below. Only 26% of ASICs achieved first silicon success in 2018, according to the Mentor/Wilson functional verification study, down from previous study results. Part of the reason for the low success rate is that new technology nodes add challenges that are not fully understood. Issues that have been around for awhile are incorporated into tools and flows, making those known issues less of a threat. Yet for 2018, mixed-signal interfaces, crosstalk, timing and IR drop—all known issues—saw upticks in the rate at which these problems caused respins. The manufacturing of semiconductor devices involves structures that measure just a few nanometers. To put this into perspective, a strand of human DNA is 2.5nm in diameter, while a human hair comes in at 80,000 to 100,000nm. A single particle of dust can destroy several die on a wafer. If the size of the die gets larger, the chance of random failures increases. For a mature process node, yields of 80% to 90% are possible. For newer nodes, however, yields may be significantly below 50%, although the actual numbers are closely guarded secrets. Fig 2. Wafer defect patterns. Source: Marvell Semiconductor, ITC 2015. Even die that are not affected in a catastrophic manner may not be considered operational. The manufacturing steps are not perfect and process variation of just one atom can make a significant difference. While that may not have an impact on some parts of the design, if process variations happen to coincide with a critical timing path, it may put the device out of specification. The design flow increasingly enables variation to be taken into account early in development to minimize its impact, and design techniques such as redundancy can reduce the number of “almost working” chips that need to be discarded. “Almost working” chips are very common for large memory arrays. Binning is another practice often used for processors where the best devices that run at higher frequencies can be sold for higher prices, while those that only work successfully when the frequency is lowered are sold at a discount. It is the role of testing to find out which die are fully functional. Those die that are marginal often get put in the discard pile, but some non-functional die do escape and end up in products. There are multiple ways to kill a chip. Consider that 0.5V applied to the outside of a chip creates electric fields of 0.5MV/m when applied across a 1nm dielectric. That is enough to make high-tension wires arc. Now consider what happens when you touch the pins of a chip. When high currents and heat come together, electromigration can slowly damage the wires. Similarly, physical effects such as negative bias temperature instability (NBTI), where you have large charges, can stress devices and if held for long enough can lead to permanent damage. This article contains just a few of the challenges that chips face in getting from the drawing board to products and then surviving for the lifetime of the product. Chips operate in a hostile environment, and the semiconductor industry has learned how to deal with these challenges. But as fabrication dimensions get smaller or new packaging technology employed, new problems emerge. At times, these new effects will cause devices to fail. But historically, the industry has learned quickly to either circumvent new problems or find ways to minimize them. Brian Bailey is Technology Editor/EDA for Semiconductor Engineering. Brian’s article espouses the view of EDA and packaging & assembly companies. These folks are trying to fix the problems described by selling software. Will it solve the problems completely? I have doubts, for the simple reason that it adds another layer to the design communications process. From its inception to the late 1980s, we were a vertical industry. ASICs and other chips were designed by the same company that manufactured, tested and (sometimes) packaged the chips. There was a very tight interface during the design process between the ASIC company and the customer. About 1985 (give or take a few years), when I was at AMI Semiconductor — an established ASIC company – we handled the design, manufacturing, packaging and test for the first cochlear implants. They were and still are a medical success. Skip forward to the early 1990s. The foundry model had taken off, but companies like VLSI Technology still worked closely with companies in the same ASIC design-through-manufacturing/packaging/test model. However, the fabless model also mushroomed and the integrated device manufacturers (IDMs) went through vertical disintegration and became a group of silo specialties. It’s true we see many first-time-manufacturing failures because of ‘basic’ design issues. But I think the main reason is that we have become an industry of specialists with disparate voices and views. We lack cohesiveness between teams at each stage of development because each team represents a different company and a different philosophy. It’s like going to 10 medical specialists about a stomachache and getting 10 different opinions, instead of just going to a general practitioner who takes a holistic view. By keeping the tasks under ‘one roof’, the vertical-integration model utilized managers who oversaw the entire ASIC development process and could solve problems internally. Is it any wonder why the cost of ASIC development is so high, when there are multiple teams from multiple companies trying to stay in step with each other? Every company has its own design philosophy. Ditto for software developers, foundries, and packaging, assembly, and test service providers. Designers working with a tight link to their external teams creates the recipe for problems and, when failures occur, a search for cause amongst the participating companies. Military programs followed the old ‘mil-standard’. The semiconductor industry would do well to have more standards. SEMI has committees for this, and I believe they should be supported by the industry. I would also propose that moving toward vertical integration is the way to go for ASICs. Apple, Google and others now have internal ASIC designers to handle chip development tasks. In doing so, they have begun the drift toward verticalization to control quality as well as to protect their IP. The EDA and packaging industries may be able to sell more software, but I question whether the specialist-model can significantly improve first-time-success rate of increasingly complex designs. Two thoughts come to mind: (1) Too many cooks spoil the broth. (2) The entire idea of an ASIC is as it always has been: one design by one company for one customer. Period. The pattern I see is that companies which want a specific functionality may only need a fraction of a chip. The chip will need an IO bus, command processor, key vault, chip management processor, secure boot loading, internal bus or fabric, etc. Somewhere in there is the value add, which may be a minority. So you will actually get a middle company which brings some of the IP to the table and specializes in assembling the whole crew, as well as giving advice on the new functional pieces. It may make sense for a company with a special purpose to retain a crew of silicon designers for their value add, even over multiple generations, but relatively few companies are going to need to hire everyone, and provide career paths etc. which you need if you are to retain the best. So, like it or not, there will be several cooks in the kitchen and it is important to learn how to get your star quality result from that teamwork. I have been involved in the semiconductor industry’s Standardisation activity (through SEMI) for over twenty years. The problem I find tends to be that many semiconductor companies don’t bother to adhere to the Standards! SEMI Standards tend to be used by some chipmakers as clubs with which to beat up their suppliers – but then if a problem subsequently is found to be due to the chipmaker itself not following the Standards properly, they generally won’t bother to correct anything. It would be nice if the semiconductor industry actually adopted the Standards that have been developed for them! A number of years ago, I went for a job interview at Unisys (Sperry). If I recall correctly, their processors had last been produced a number of years prior (ASICs? ), and they were ‘banked’ in a vault. One of the interesting tidbits from the interview was that there was a non-trivial failure rate of the remaining chips simply due to radiation. That is, these processors passed qual/test/burn-in prior to being ‘banked’, but would fail upon being installed in a machine. The promise of advanced packaging is being able to integrate heterogeneous chips, but a lot of work is needed to make that happen. Improvement still needed for uptime, defectivity, line edge roughness and process flows. Why this choice isn’t as obvious as it might look. Why are so many companies rushing to do 7nm designs? Rising costs and gaps in equipment emerge as technology scales; new tools under development. 2019 will be a year of change for the semiconductor industry as new fields drive technological advancements. This new communications standard could transform architectural decisions across the industry, but not right away and not necessarily in obvious ways. What hoops will designers have to jump through to avoid concurrency bugs? Why managing power is becoming more difficult, more critical, and much more expensive. Analog circuitry stopped following Moore’s Law a long time ago, but that hasn’t always helped. Is it possible to reduce the power consumed by memory by 50%? Yes, but it requires work in the memory and at the architecture level. 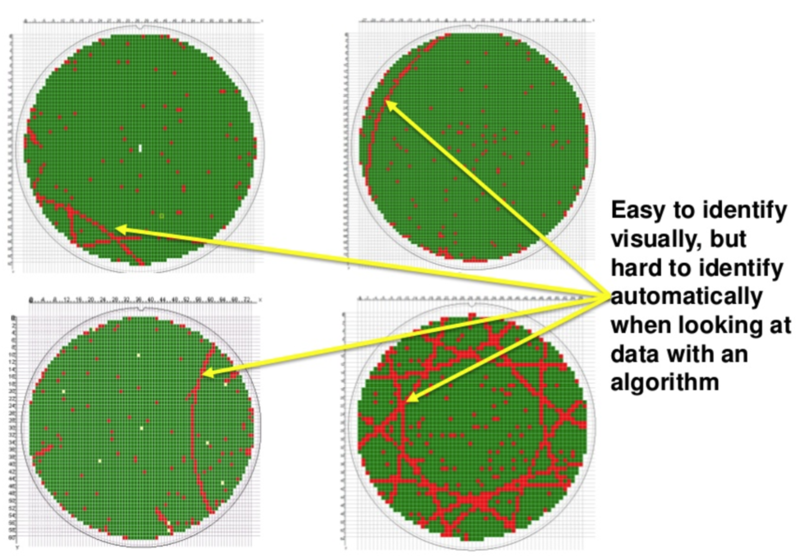 Can mixed-signal architectures boost artificial intelligence performance using less power? When going to a smaller node is no longer an option, how do you get better power performance? Several techniques are possible. Katherine Derbyshire on What’s For Dinner? Gil Russell on What’s For Dinner? Ghazi on What Happened To Aftermarket Car Audio? Doc on Dirty Data: Is the Sensor Malfunctioning? Venkat on New BEOL/MOL Breakthroughs? Allen H Rasafar on What’s the Right Path For Scaling?